Messy Play Bramhall Easter Special is on its way!! Little Learners Bramhall are celebrating with an Easter special. We are hosting a very special messy play and mark making session so come along and join the fun! Join us on Thursday 11th April at 10am at Fir Road Scout Hut, Bramhall SK7 2NP. Spring and Easter themed with colourful messy trays featuring chicks, bunnies, eggs and chocolate! Come and join in and make a mess in Easter- themed messy trays with custard, gloop, foam and lots more! Paint, draw, play with play dough and have fun together. The messy play Bramhall Easter special is most suitable for children aged 5 months to 5 years. It is in the school holidays and so older siblings (6+) are welcome to accompany their younger siblings for a small charge. Add in an extra activity too! 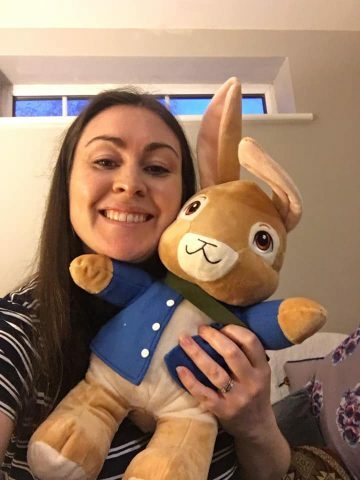 Make your very own Peter Rabbit soft toy to take home.